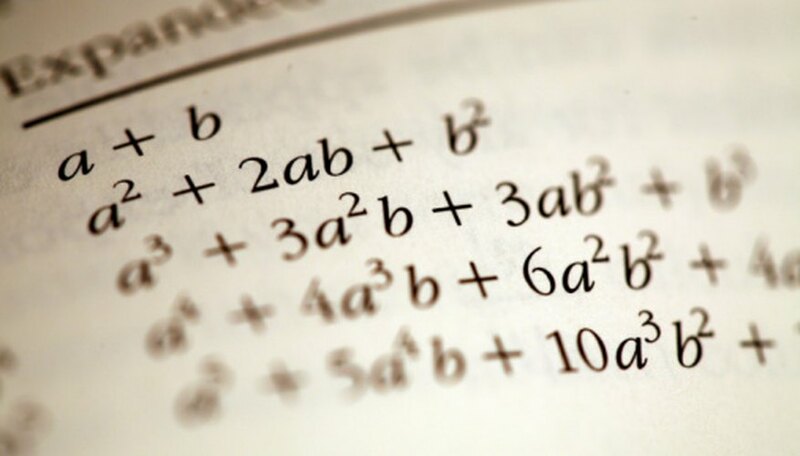 Quadratic equations are formulas that can be written in the form Ax^2 + Bx + C = 0. Sometimes, a quadratic equation can be simplified by factoring, or expressing the equation as a product of separate terms. This can make the equation easier to solve. Factors can sometimes be tough to identify, but there are tricks that can make the process easier. Examine the quadratic equation to determine if there is a number and/or variable that can divide each term of the equation. For example, consider the equation 2x^2 + 10x + 8 = 0. The largest number that can divide evenly into each term of the equation is 2, so 2 is the greatest common factor (GCF). Divide each term in the equation by the GCF, and multiply the entire equation by the GCF. In the example equation 2x^2 + 10x + 8 = 0, this would result in 2((2/2)x^2 + (10/2)x + (8/2)) = 2(0/2). Simplify the expression by completing the division in each term. There should be no fractions in the final equation. In the example, this would result in 2(x^2 + 5x + 4) = 0. Examine the quadratic equation to see if it is in the form Ax^2 + 0x – C = 0, where A = y^2 and C = z^2. If this is the case, the quadratic equation is expressing the difference of two squares. For example, in the equation 4x^2 + 0x – 9 = 0, A = 4 = 2^2 and C = 9 = 3^2, so y = 2 and z = 3. Factor the equation into the form (yx + z)(yx – z) = 0. In the example equation, y = 2 and z = 3; therefore the factored quadratic equation is (2x + 3)(2x – 3) = 0. This will always be the factored form of a quadratic equation that is the difference of squares. Examine the quadratic equation to see if it is a perfect square. If the quadratic equation is a perfect square, it can be written in the form y^2 + 2yz + z^2, such as the equation 4x^2 + 12x + 9 = 0, which can be rewritten as (2x)^2 + 2(2x)(3) + (3)^2. In this case, y = 2x, and z = 3. Check whether the term 2yz is positive. If the term is positive, the factors of the perfect square quadratic equation are always (y + z)(y + z). For example, in the equation above, 12x is positive, therefore the factors are (2x + 3)(2x + 3) = 0. Check whether the term 2yz is negative. If the term is negative, the factors are always (y – z)(y – z). For example, if the equation above had the term -12x instead of 12x, the factors would be (2x – 3)(2x – 3) = 0. Set up the factored form of the quadratic equation by writing (vx + w)(yx + z) = 0. Recall the rules for FOIL multiplication (First, Outside, Inside, Last). As the first term of the quadratic equation is an Ax^2, both factors of the equation must include an x. Solve for v and y by considering all the factors of A in the quadratic equation. If A = 1, then both v and y will always be 1. In the example equation x^2 - 9x + 8 = 0, A = 1, so v and y can be solved in the factored equation to get (1x + w)(1x + z) = 0. Determine whether w and z are positive or negative. The following rules apply: C = positive and B = positive; both factors have a + sign C = positive and B = negative; both factors have a – sign C = negative and B = positive; the factor with the largest value has a + sign C = negative and B = negative; the factor with the largest value has a - sign In the example equation from Step 2, B = -9 and C = +8, so both factors of the equation will have - signs, and the factored equation can be written as (1x – w)(1x – z) = 0. Make a list of all the factors of C in order to find the values for w and z. In the example above, C = 8, so the factors are 1 and 8, 2 and 4, -1 and -8, and -2 and -4. The factors must add up to B, which is -9 in the example equation, so w = -1 and z = -8 (or vice versa) and our equation is fully factored as (1x – 1)(1x – 8) = 0. Reduce the equation to its simplest form, using the Greatest Common Factor method listed above. For example, in the equation 9x^2 + 27x – 90 = 0, the GCF is 9, so the equation simplifies to 9(x^2 + 3x – 10). Draw a box and divide it into a table with two rows and two columns. Put Ax^2 of the simplified equation in row 1, column 1, and C of the simplified equation in row 2, column 2. Multiply A by C, and find all the factors of the product. In the example above, A = 1 and C = -10, so the product is (1)(-10) = -10. The factors of -10 are -1 and 10, -2 and 5, 1 and -10, and 2 and -5. Identify which of the factors of the product AC add up to B. In the example, B = 3. The factors of -10 that add up to 3 are -2 and 5. Find the GCF for each row and column of the box. In the example, the CGF for the top row is x, and for the bottom row is -2. The GCF for the first column is x, and for the second column is 5. Write the factored equation in the form (w + v) (y + z) using the factors identified from the chart rows for w and v, and the factors identified from the chart columns for y and z. If the equation was simplified in Step 1, remember to include the GCF of the equation in the factored expression. In the case of the example, the factored equation will be 9(x – 2)(x + 5) = 0. Make sure the equation is in standard quadratic form before you begin any of the described methods. It is not always easy to identify a perfect square or difference of squares. If you can see quickly that the quadratic equation that you are trying to factor is in one of these forms, then that can be a big help. However, don’t spend a lot of time trying to figure this out, as the other methods could be faster. Always check your work by multiplying out the factors using the FOIL method. 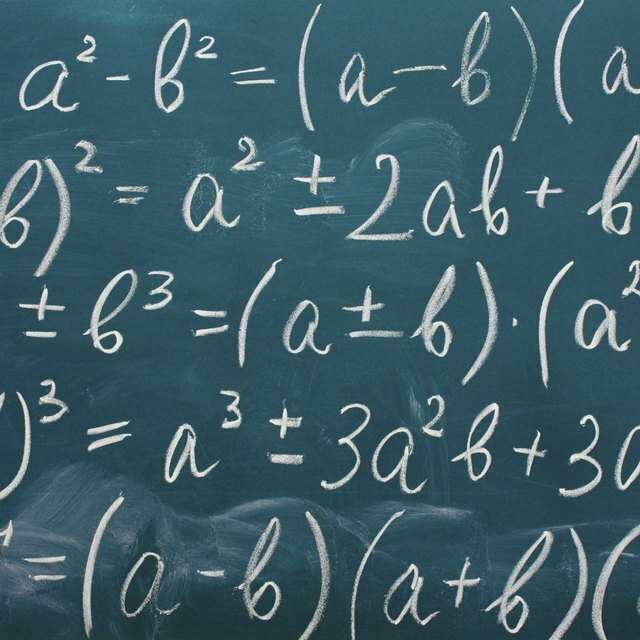 The factors should always multiply back to the original quadratic equation. Stapel, Elizabeth. "Factoring Quadratics: The Simple Case." Purplemath. Stapel, Elizabeth. "Factoring Quadratics: The Hard Case." Purplemath. Kim Cois specializes in math and science topics. She received her B.S. in engineering from the University of Pittsburgh. Cois, Kim. "Tricks for Factoring Quadratic Equations." Sciencing, https://sciencing.com/tricks-factoring-quadratic-equations-8494875.html. 24 April 2017.